More than 9.500km from Liechtenstein we found ourselves in a different world which would become our home for 5 months. We spend our third semester abroad in what we consider the best partner university of Liechtenstein – the National Chengchi University (NCCU/國立政治大學) in Taipei, Taiwan. It all started with the decision to go abroad - which we made pretty much last minute. We walked in the International Office of the University of Liechtenstein and just asked what options were still available to us. To our surprise, we could still choose from a large number of universities all around the world. 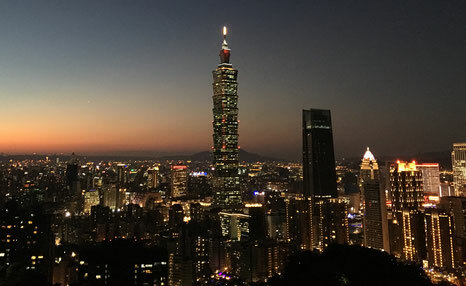 Taiwan soon became our favourite choice, so after applying for our visa and getting all possible vaccinations our doctors could think of, we headed to Taipei. Once on campus, we straight away knew this university was nothing like the University we were used to – here 16.000 instead of only 800 students were studying together. The campus was huge, next to libraries and lecture hall buildings the campus is replete with a pool, a gym, a gymnasium and an athletics track. Additionally, it offers a large variety of student clubs. We especially enjoyed the various activities these clubs offered like the welcome party, the international fair, our two-day trip to Nantou, our dumpling cooking session, the Christmas party, the NCCU-run, etc. These activities gave us the opportunity to meet new people from all around the world, experience Asian culture first-hand and get to know the “real Taiwan”. Especially the NCCU run will forever stay a treasured memory. Neither of us had ever competed in a run before. But as we wanted to stay fit and active (and not get too fat) during our semester abroad we both signed up for the “NCCU Run”. Amazingly, we finished 25th and 37th out of 1500 people – definitely one of our highlights during our semester abroad! Taipei itself is beautiful. Especially on top of elephant mountain the skyline is simply stunning. All around the city there are night markets and temples, each of which each has its very own charm and the food is amazing no less. Dumplings, every imaginable rice dish, grasshoppers, maggots, frog legs, stinky tofu. Name it, we have tried it! Sadly, due to quite a large workload we did not have enough time to travel as much as we would have liked. So we enjoyed our time within the borders of Taipei. At the end of our semester, we traveled for 3 weeks straight as we did not want to miss out on this great opportunity. After traveling within Taiwan, we went to Japan, South and even (for about 3 minutes) to North Korea and, subsequently, Thailand. In summary, we only have one thing to say: We would do it all over again! Everyone considering to go abroad, take this advice: Go for it! Go abroad! Take this huge opportunity the University of Liechtenstein provides you with.